February 17, 2016 -- With dozens of dental practice management solutions on the market, how do you know which one will be best for your practice? If you're opening a new practice, a cloud-based solution can save thousands of dollars in start-up costs. Data security and system availability -- plus the freedom to use any device -- are additional benefits of using cloud-based software in your practice. Whether you're looking for cloud-based or traditional client-server software to help you manage your practice, the seven questions below can help you narrow your choices. Your chosen software provider should answer all these questions to your complete satisfaction. 2. Does the software provider include offsite data storage and backup/recovery services? HIPAA regulations require electronic protected health information (ePHI) -- your patient records -- to be securely backed up and recoverable. In addition, your office must retain offsite computer backups. Your chosen provider should be aware of these regulations and able to comply. 3. How secure will your practice's data be? Data security is vital to maintaining your patients' trust and complying with HIPAA and other privacy regulations. Ensuring that your software provider can protect ePHI data from unauthorized access during transit and storage is mandatory. Make sure your chosen provider understands the federal and industry regulations that apply to your practice. Find out what kind of encryption and access controls they offer for email, backup, and storage of patient records. 4. Does the software provider offer business continuity or disaster recovery services? In other words, what would happen to your practice's data if a power outage, flood, or weather crisis occurred? Would you still be able to get to your schedule, see patient charts, collect your fees, and other essential activities? Make sure your chosen provider can help keep your practice running after a disaster. 5. What happens when your practice grows? The practice management software you choose must be able to accommodate additional patients, providers, and business associates. Be sure you choose software that allows for growth and can easily handle more patients in your database, more data storage, and more providers in your calendar and ledger. 6. What's the average time frame for installation? Your chosen provider should be able to give you the average time frame for installing your software and getting your team going. The amount of downtime your practice may experience before everything is up and running could be a deciding factor. Be prepared for hiccups and inconvenience anytime you are switching practice management software. An accurate expectation for how long the transition will take may alleviate the biggest headaches you will face. 7. What customer support services does the software provider offer? Be sure that your chosen provider is capable of handling your technical questions and software problems in a timely and professional manner. Find out if you can get 24/7 online support, email support, and telephone support. Dr. J. Elliott Brennan is the owner and co-founder of Brennan Dental in Chandler, AZ. 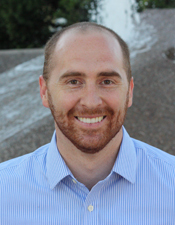 He is an adjunct faculty member at the Arizona School of Dentistry and Oral Health in Mesa. Dr. Brennan is also a consultant for DentrixAscend.